Join us for at least one loop of 5-8 miles. 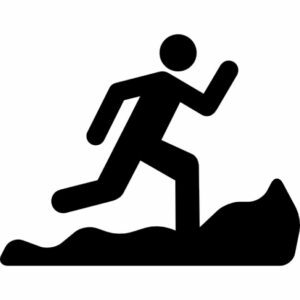 Watch the No Runner Left Behind Facebook page for information posted, usually on Thursday, as to where we are meeting and what trails we are running. Trail runners who like pain and elevation. Meeting on Wednesday evenings for waterline repeats . Start at 5:30 pm in the 3 Caves Parking Lot.